Singapore’s pharmaceutical and medical device industries have proven themselves to be a very sensible career option over the last decade. It wasn’t until the mid-1990s that the Singaporean Government decided to make pharmaceutical manufacturing a key area for the country to focus on. But in the years since then, the industry has gone from strength to strength – showing excellent growth and, with that, excellent job prospects. Revenues of the pharmaceutical industry worldwide have shown consistent, increasing growth over many years. Even in the most difficult recent financial times, the medical device and pharmaceutical industries have maintained this growth. Industry experts expect this trend to continue (see graph below showing revenue (billions USD) that includes projected revenue for 2018 and 2021). From 2000 to 2010, Singapore was the 3rd placed country worldwide when analysing growth of pharmaceutical exports. Then, in 2011 alone, Singapore’s pharmaceutical and biotechnology industries grew by more than 30%. Singapore is Asia’s fastest growing bio-cluster (1). 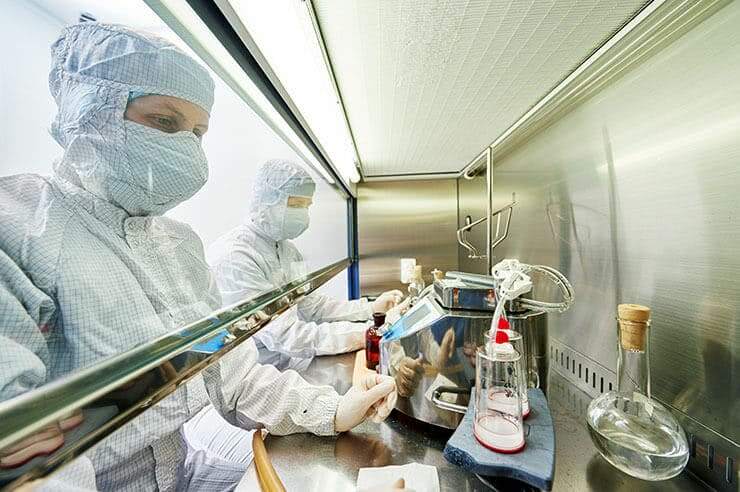 Currently, Singapore’s biomanufacturing industry employs over 6,000 people. In 2000, that figure was 1,900 people. Of those new jobs, 80% have gone to Singaporeans (2). This industry alone is predicted to bring 700-1000 new jobs into Singapore over the next 2-3 years (3). In addition, there are over 30 medtech companies with operations in the country, employing a further 9,000 people. In terms of the scale of production – 10% of the world’s contact lenses are made here, as are approximately half of the world’s mass spectrometers and 70% of microarrays (4). Singapore’s growth has come not only from attracting new companies to manufacture here, but by supporting companies already here to diversify their operations and bring more of their business to the country. Most recently, AbbVie opened a S$436 million manufacturing facility within the Tuas Biomedical Park, bringing 250 new jobs (2). Currently, biomedical manufacturing is the 2nd largest contributor to the manufacturing sector in Singapore. It has been predicted that the pharmaceutical and medical device output of Singapore will reach S$12 billion by 2017, if growth trends continue (3). Worldwide employment across the medical device and pharmaceutical industries have grown from 3.64 million in 2006, to 4.91 million in 2016. And, possibly more importantly for those considering a career change into pharmaceutical manufacturing, these jobs pay well. In 2016, the Minister for Trade and Industry said that the average remuneration for employees of Singapore’s biopharmaceutical manufacturing industry was around S$102,000 (2). It has been estimated by Willis Towers Watson’s 2016 Asia Pacific Salary Budget Planning Report that employees within the pharmaceutical and health sciences industries are likely to receive some of the highest salary increases during 2017, at 4.4%. The country’s average salary increase for the same time is estimated at 3.2% (5). What Singapore has done so successfully is first, attract companies to manufacture here. Then they’ve looked to expand back along the value chain, attracting R&D through a host of initiatives. In combination, this means that Singapore is now not only producing finished products, but taking an active role in innovation. In 2016, Singapore was ranked 6th on the Global Innovation Index. More specifically, also in 2016, Scientific American Worldview: A Global Biotechnology Perspective realised a “scorecard of biotech innovative countries”. In these worldwide rankings, Singapore placed 2nd. When compared against the same ranking from the year before, all countries in the top 5 remained the same but only Singapore had improved its ranking, to 2nd from 5th in 2015 (6). The rankings aggregate from a host of categories. Singapore actually placed 1st in the Enterprise Support and Policy & Stability categories. This focus on innovation leaves Singapore well placed to attract companies who are looking to enter or expand their presence in the medical technology sector. As previously mentioned, even in the most difficult of financial times, the pharmaceutical and medical device industries have maintained success. They have not faced the same historical ups and downs of other industries. Part of the strength of the pharma and medical device sector, as we discovered above, is the diverse nature of the current industries. By attracting companies from manufacturing, all the way up the value chain to R&D, Singapore has made sure that its interests are well distributed. This breadth of activities, across such a small geographical location, makes it a very appealing prospect for companies. The government has taken the lead in promoting this “cluster”. From initiatives such as the dedicated manufacturing sites like the Tuas Biomedical Park (and the infrastructure to support them), to the presence of several big public-sector research institutions (and even some public-private research institutions), Singapore is an attractive offer to companies (7). For more information about the cluster effect and its impact in Singapore, see this article. There can often be a misunderstanding about the skills needed to successfully begin a career in pharmaceutical or medical manufacturing. 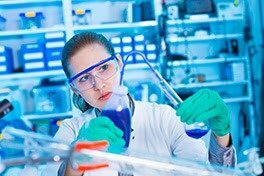 With some of these “alternative” backgrounds, you may need to gain some industry-specific knowledge before you could realistically get in a job in pharmaceutical or medical device manufacturing. But you might be a lot closer than you think to being a great candidate. If you want to know more about the industry check out the rest of the resources in our Industry and Job Hunting page. If you think you’d be a good fit for a career in pharma, take this quick test to figure out what types of jobs you’d be suitable and which, if any, additional courses you’d need to get you industry-ready. Of course, if you have any specific questions or would like to talk to someone about your options, get in touch with us for an informal chat. What is a Maintenance Technician? What is a Packaging Operator? DPS Education will help you make a career change into the Pharmaceutical and Medical Device Manufacturing Industries or upgrade your existing skills set for this sector.